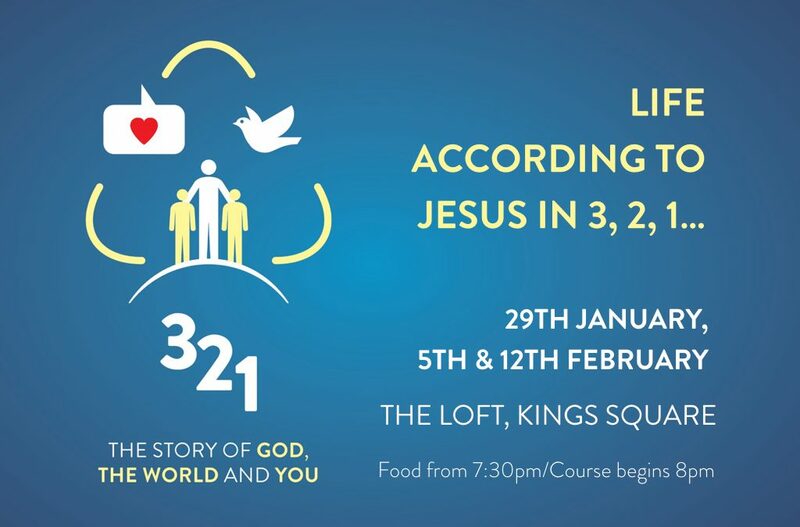 Knock Presbyterian are running a 321 Course exploring the story of God, the world and you. So if you’d like to fin out more about Christianity and Faith in Jesus, then you’d be more than welcome. We’re meeting in the Loft Coffee Shop in Kings Square, Belfast on 29th January, 5th and 12 February 2019. There’s a meal at 7:30pm followed by the course (a short talk and some time for discussion) at 8pm.